KTC tools are widely used in Japan’s automotive industry and by motorsports teams. 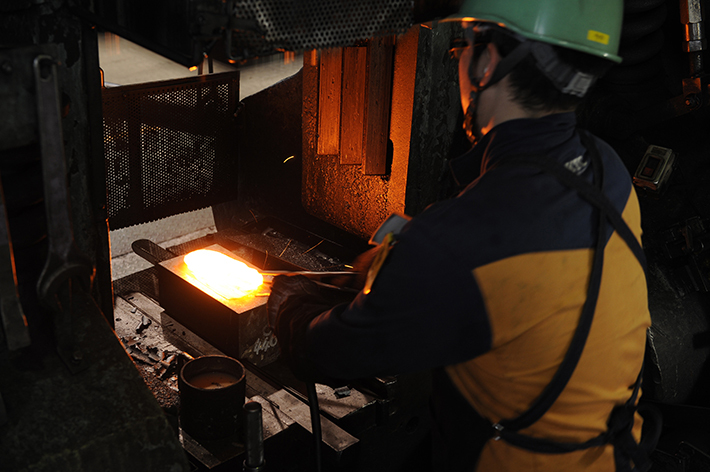 Our reputation for high quality has made KTC the leader in Japan’s tool market for many years. At KTC quality encompasses not only high precision and safety; our tools are specially designed and manufactured to ensure ease of use and high user satisfaction. KTC’s quality control and environmental management systems meet stringent international standards, while contributing to a recycling-oriented society and enhancing customer satisfaction. For both professional automotive technicians and skilled amateur mechanics, tools are much more than mere devices for tightening and loosening nuts and bolts. Well-designed tools communicate a variety of subtle information to the user. For this reason KTC tools are designed not only to feature the ideal balance between lightness and strength, but also to be very user friendly. Because KTC tools facilitate tactile communication between the work and the worker, jobs go more smoothly and the technician works with greater comfort. This tool/technician relationship is at the essence of what makes KTC tools so special. KTC tools are not only a pleasure to use; they are specially designed with safety in mind. For example, although increasing the hardness of a tool increases its strength, excessive hardness can cause brittleness. If a tool breaks its user could be injured. KTC tools are designed to have the ideal balance between strength and flex. If a tool is overstressed to the point where it may fail, it communicates this to the user. To protect the user in the unlikely event that a tool should fail, KTC carries out extensive failure testing and stress analyses to strategically predetermine the weakest point and thereby ensure maximum safety. Many Japanese tool manufacturers design their products in Japan, but rely on foreign manufacturing plants to produce them. At KTC, for more than 60 years all of our products, with a few exceptions, sold directly to professional automotive technicians and amateur mechanics have been designed and manufactured in Japan using our integrated production system. This system offers three important advantages. Because our development, production and sales teams work together, they produce innovative tools that are industry leaders. All staff attend all development meetings and work closely with the developers at all stages of the process. If the production side notices a potential problem during development, that issue is efficiently resolved prior to production. While other companies entrust a part of their production work, like forging or surface treatments such as chrome plating, to outside vendors, at KTC all production steps are conducted in-house. This enables comprehensive problem solving of any issue that arises during production and ensures both high production efficiency and excellent control. It is here that KTC’s many years of know-how and unique technologies come together. Because this system allows direct checking of every process from forging and machining to heat treating and plating, the result is a very efficient and high level of quality control. This is followed by final inspections, including inspections to ensure the tools can withstand the loads imposed on them by automotive technicians with a high margin of safety. Because Japan’s global automotive industry requires compliance with environmental impact and quality management, KTC’s business meets international standards. KTC received ISO 9001 certification on November 6, 1998 from the Japan Quality Assurance Organization (JQA). ISO 9001 is the international standard certification for quality management systems. 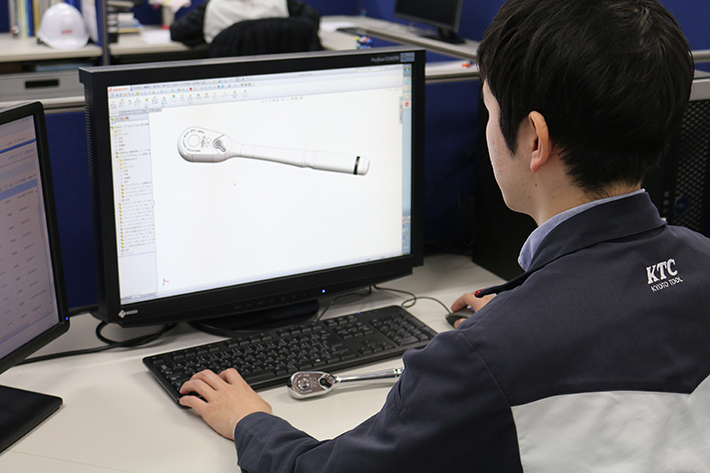 tools at KTC's subsidiary Hokuriku KTC Tool Co., Ltd.
With the acquisition of the certification, KTC will work to achieve the world's highest quality in response to global user. With the acquisition of the certification, KTC will work to achieve the world's highest quality in response to global user needs. KTC's challenge is based on the company's quality policy of practicing customer satisfaction (CS) management supported by the integration of production, sales, and engineering to realize the world's highest quality and thus satisfy, please, and impress customers. The High-tech Business Department, which manufactures molds for plastic parts and then molds and assembles the plastic parts, acquired ISO 9001 and ISO 9002 certification on July 7, 2000, which covers an expanded range of applicable products and affiliated business places. The Fushimi Plant, however, was excluded from the applicable business locals because it was merged with the Kumiyama Plant in February 2000. · Reconstructing and simplifying the quality management system to eliminate operational inefficiency and waste, and make each employee informed and aware of the system. KTC received ISO 14001 certification on December 28, 1999 from the Japan Quality Assurance Organization (JQA). ISO 14001 is the international standard certification for quality management systems. The sites covered by the certification are KTC's Kumiyama business centers (the head office and Kumiyama Plant) and Fushimi Plant. In future, KTC will consider quality and environment as top-priority subjects for management and expand its activities further to realize the world's highest quality and becoming a global environment-friendly enterprise. The Fushimi Plant was excluded from the applicable business locals because it was merged with the Kumiyama Plant in February 2000. · We attach importance to contributing to a recycling society, and promote continuous environmental improvement in order to improve the global environment. KTC was the first tool manufacturer to receive the coveted TPM Excellence Award from the Japan Institute of Plant Maintenance for product quality, productivity, energy efficiency and overall plant maintenance. The Japan Institute of Plant Maintenance (JIPM) grants the TPM Excellence Award to enterprises that have promoted the modernization of plant maintenance, development of plant maintenance technologies, implementation of the 5S activities (sorting, set-in-order, sweeping, standardizing, and sustaining), streamlining of offices, and improvements to business structures, and attained great results in productivity, quality, and energy-saving performance.